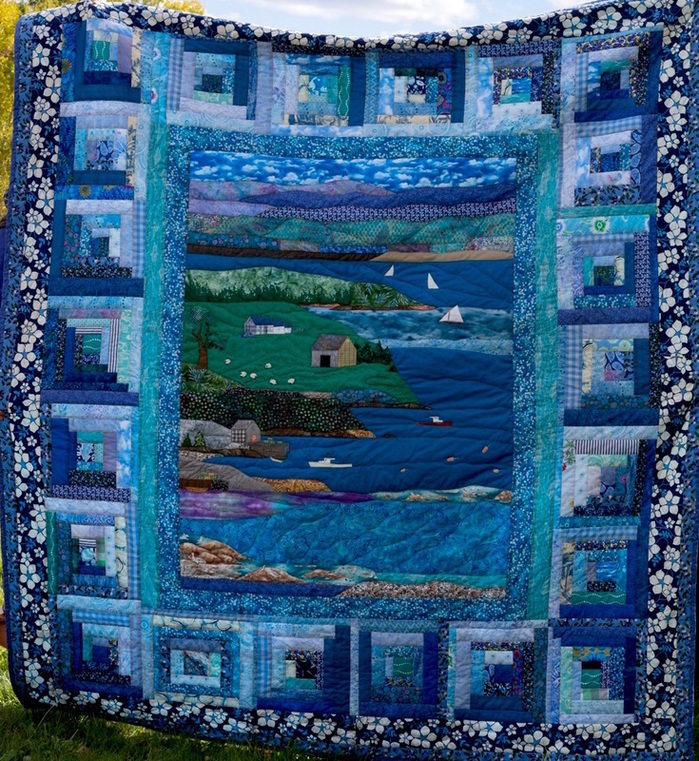 Nora Flanagan's quilts feature traditional geometric patterns and original designs inspired by Maine's coastal and pastoral landscapes. Made of all-cotton outer fabrics and light, comfortable, poly batting, these handmade baby- to king-sized quilts are machine quilted for long-lasting durability. ​​Professional slipcovers, roman shades, pillows, wall-hangings and painted murals are also a specialty.